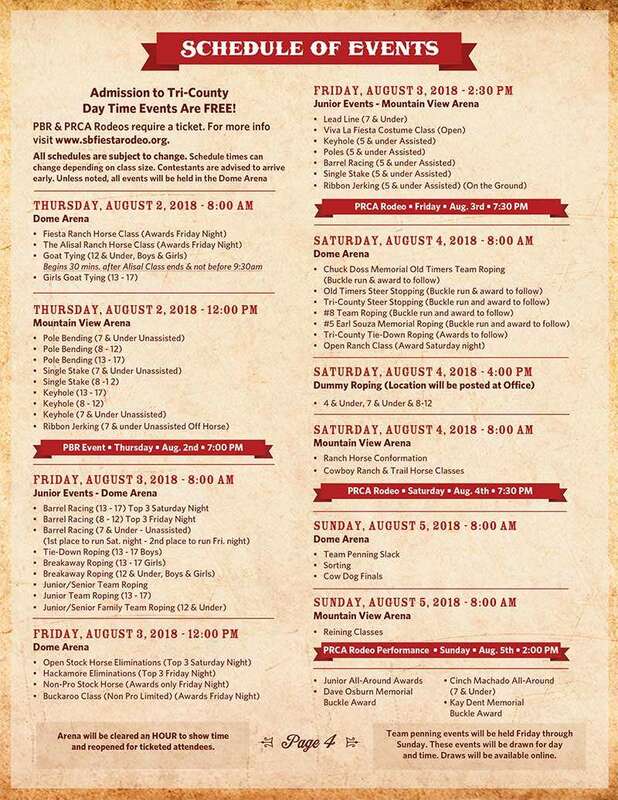 Admission to Tri-County Day Time Events Are FREE! PBR & PRCA Rodeos require a ticket. Hackamore will only go Friday Night as a single class, no eliminations. No Friday team penning “slack” – it will go on Sunday during slack. Sorting Sunday morning may include a second go that will be announced that morning. All schedules are subject to change. Schedule times can change depending on class size. Contestants are advised to arrive early. Unless noted, all events will be held in the Main Arena.